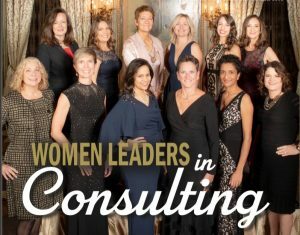 Over the last twelve years, Consulting magazine has set out to recognize the role of women in consulting. While it’s impossible to quantify, industry data tells us women make up about 27 percent of the profession; however, we’re certain their impact is significantly greater— and growing every year. Women continue to make a profound difference to both their clients and their firms.